The impala[pronunciation?] (Aepyceros melampus) is a medium-sized African antelope. It is the type species of the genus Aepyceros and belongs to the family Bovidae. It was first described by German zoologist Martin Hinrich Carl Lichtenstein in 1812. 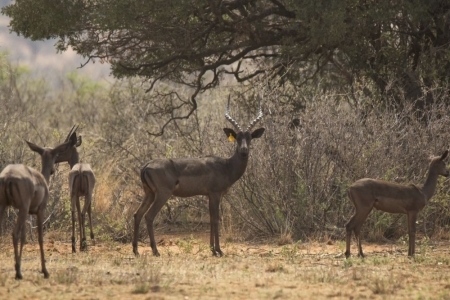 Two subspecies of the impala have been recognised: the common impala (A. m. melampus) and the black-faced (A. m. petersi). They are typically between 120–160 cm (47–63 in) long. Males stand up to approximately 75–92 cm (30–36 in) at the shoulder and weigh 53–76 kg (117–168 lb), while females are 70–85 cm (28–33 in) and 40–53 kg (88–117 lb). Both are characterised by a glossy, reddish brown coat. 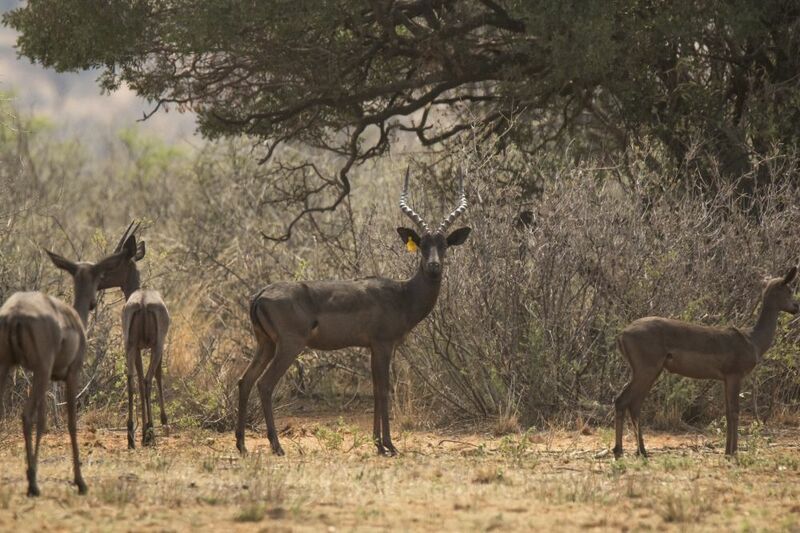 Only the males have the characteristic slender, lyre-shaped horns, which can grow to be 45–92 cm (18–36 in) long.